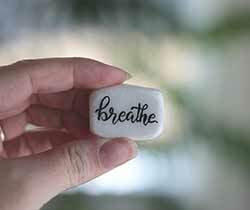 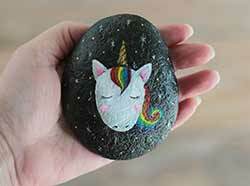 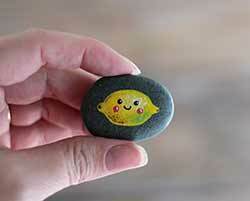 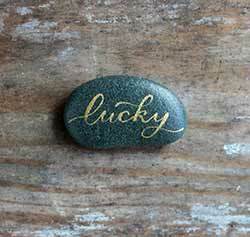 Hand painted on naturally smoothed stones from our local rivers and ocean, these decorative rocks are perfect for carrying in your pocket as a worry stone, given as an inspirational gift, set on your office desk as a motivational reminder, or to decorate a potted plant! 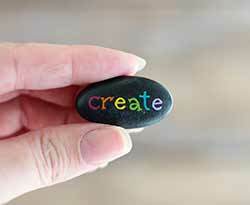 Reads "create" in freehand brush calligraphy, each letter in a rainbow color. 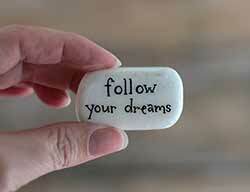 Has an inspirational reminder, reading : "Follow Your Dreams." 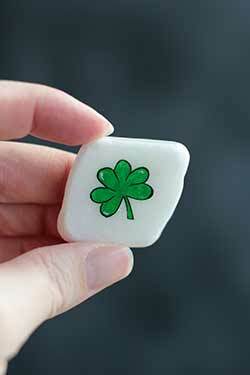 Features a four-leaf clover, perfect as a lucky charm or St. Patrick's Day decor! 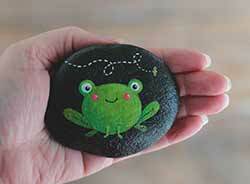 Features a happy frog with rosy cheeks, and tiny flying bee! 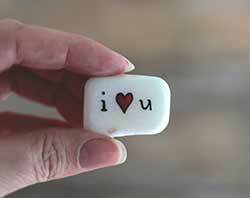 This painted rock says "I love you," with a red heart. 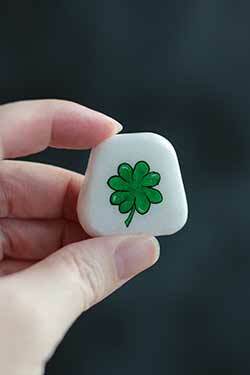 Features a shamrock, perfect as a symbol of faith or St. Patrick's Day decor!